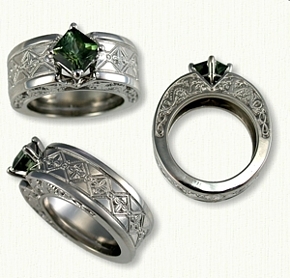 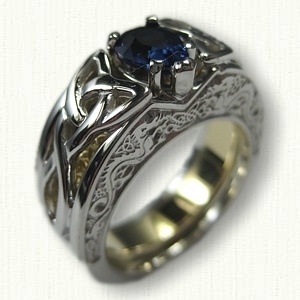 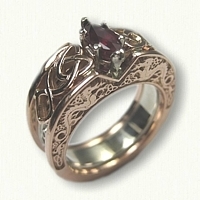 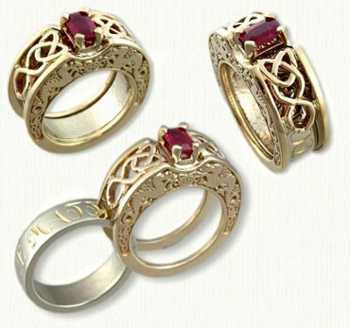 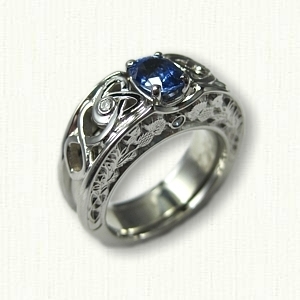 C-Celt Dara 1: Shown: 14Kt white gold / 18Kt yellow electroplating, 8mm wide Cradle with Dragons and emerald cut ruby. 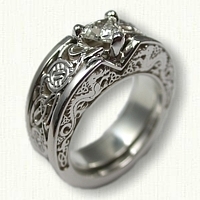 Custom 5mm Reverse Etch inside band. 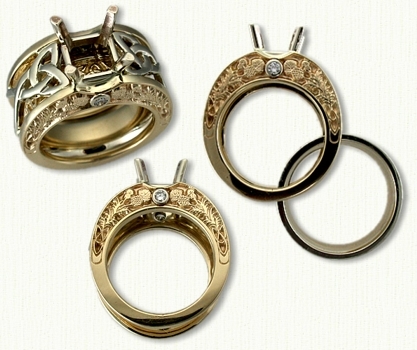 C-Celt Dara 2: Shown: 14Kt white and 14Kt yellow gold Cradle with thistle pattern and bezel set diamond. 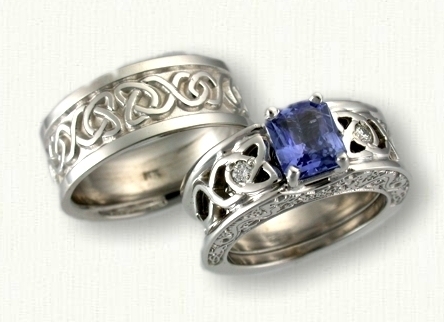 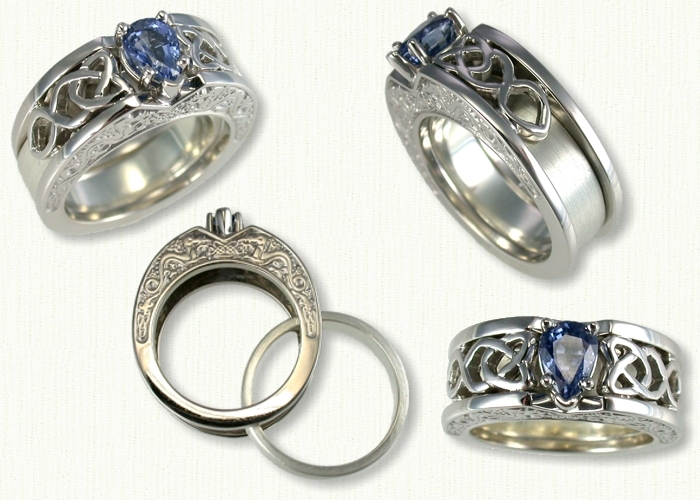 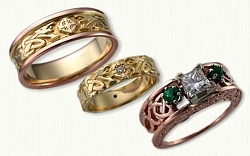 View our Dara Knot wedding bands. 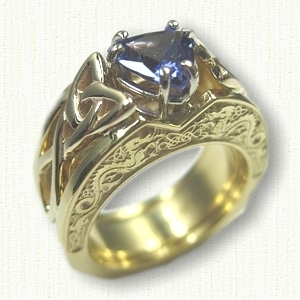 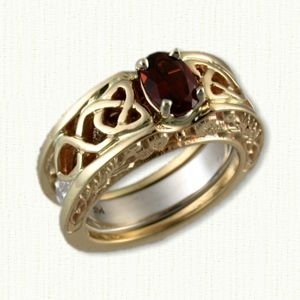 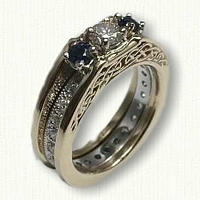 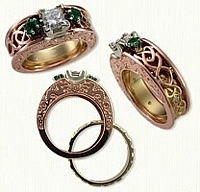 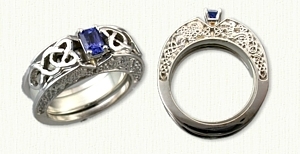 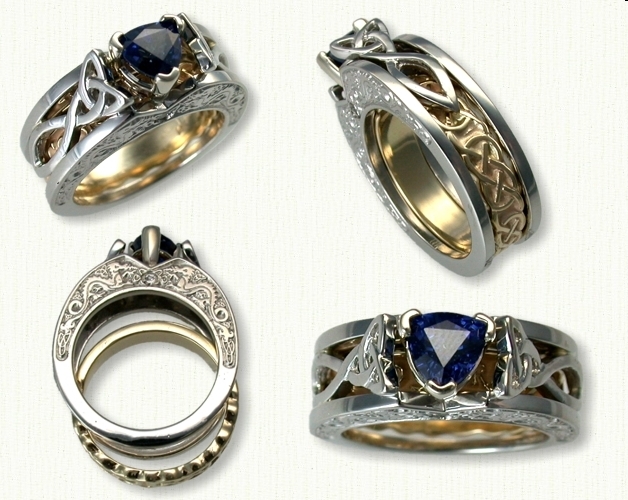 The C-Celt Dara style in 14kt Gold STARTS at $900 (excluding stones) and includes a free sterling silver spacer band.